Another e-bike was in the news last week. 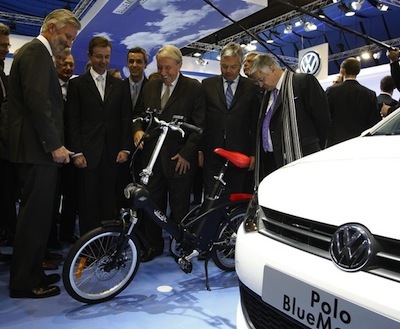 It’s from VeloSolex and it was on display at the Brussels Motor Show. Photo: Reuters Pictures via Daylife. We’re enthusiastic about motor-assisted bikes and ride one weekly to deliver goods, errands, and just riding around, but it’s not our primary bike. That’s because the range is limited, it’s heavy as @$%^, and is purpose built for cargo. Where we get concerned is when bikes are mopeds with batteries or presumably an attempt by a battery manufacture, like Sanyo, to increase market share for their products. The problem is these bikes aren’t specifically designed to perform in an urban environment – they’re comfort bikes with motors bolted on. We talked about the same thing with Trek’s Valencia +. Instread of chasing an ebike trend and doing what Iacocca did in the 90s, let’s rethink and engineer a motor-assisted urban bike. 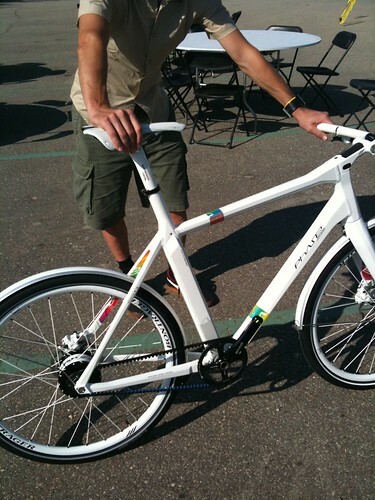 The concept bike that interested the most at TrekWorld was this modified Phase Concept. Imagine the market you could blow up with a high-performance commuter that had a motor assist. 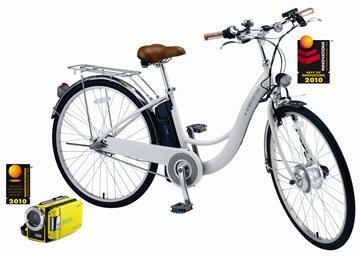 I asked that question last year about electric innovation and it applies now with more e-bikes hitting the market. We need more like these one. Next Next post: Just Riding Along: Insta-Fixie!